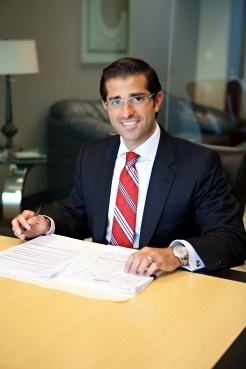 I am the senior principal for Castro Law, P.C., that was founded in 2004. I graduated from Georgia State University College of Law in 2003, and was selected "Best Advocate" by the Moot Court Society. I come from a family of business owners and have always been taught that the client comes first. Since I was a kid, I had a vision that I would eventually open up my own business that helps people. In law school, I took a good idea, refined it, and made it a great idea. Since day 1, my firm has viewed client service as fundamental, not supplemental. With that as my background, I take a personal interest in all of my clients' cases and am as invested in the outcomes of their cases as they are. I am aware of the importance of every case and I firmly believe that the little things make a big impression. I have spent my entire career representing victims and their families in personal injury cases. My firm handles it's cases with the same passion and compassion we would give to our own family and friends. All Castro Law representatives are fluent in Spanish and the firm is privileged to represent a large number of people of the Hispanic and Latino communities. Average is as close to bad as it is great. At Castro Law, we recognize this principle and strive to exceed your expectations from the moment you contact our office. The highest compliment our clients can give us is the referral of their friends and family. Thank you for your trust!